Kavanaugh is lying to Congress. GOP senators likely will confirm him anyway. Nothing like an untruthful judge on the Supreme Court. 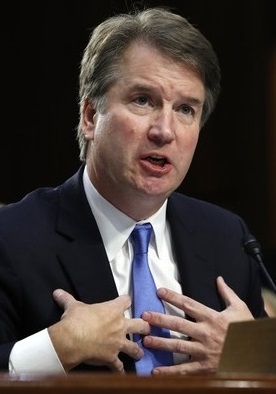 Mother Jones specifies five lies Brett Kavanaugh has told under oath in his Supreme Court confirmation hearings. Details here. All indications are he’ll be confirmed anyway, without a single dissenting GOP vote. Dishonesty no longer is disqualifying; in this era of hyperpartisan politics, only expediency matters. On Horsesass.org, poster “Elijah Dominic McDotcom” discusses a potential post-confirmation remedy: Impeachment.